Inflatable slides are some of the best ways to provide fun and entertainment for young event guests. 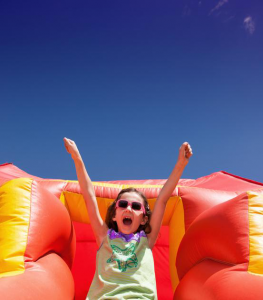 Just like bounce houses and interactives, inflatable slides are popular with children, allowing for endless hours of thrills at outdoor parties and events throughout the year. There are many types of slide, each with its own features and applications. In this guide, we’ll take a look at wet/dry and dry-only slides, giving you the information you need to make your next event a hit. Designers of inflatable products work overtime to come up with incredible styles and configurations, giving consumers an incredible selection to choose from. For slides, several features go into the design and construction that make them unique in the inflatables industry. After coming up with the design, including colors, shapes, and configurations, the construction process begins. Every commercial-grade inflatable slide begins as sheets of heavy-duty vinyl fabric. The manufacturer cuts these sheets into panels according to a detailed pattern. Then, the panels are sewn together using multi-filament nylon thread for lasting durability. No matter what type of slide, there are three major components: the body, the slide lane or lanes, and the climbing ramp. The body is the “footprint” of the inflatable, providing for a stable base on which the entire unit depends on for structural support. The slide lanes are where the fun begins – some models have single lanes, while others may have dual lanes or even multiples. The slide lanes may be straight or may curve around the body of the inflatable. The lanes are typically lined with a slick-finish vinyl material to make them extra slippery. Finally, there is the climbing ramp, which is typically located alongside the slide lanes, but may be found on the side or back of the unit. Some models feature two slide lanes flanking a central climbing ramp. The climbing ramp gives riders the ability to get to the top of the slide easily. After browsing through pages of inflatable slide models, many people may wonder what the differences between wet/dry slides and dry-only slide models are. While the design, construction, and general configuration is the same between these two categories of slide, there are differences in the final product. Wet/dry slides are equipped with splash pools at their slide lane bases, while dry-only slides may have a high bumper, an inflatable wall, or a small ramp. Wet/dry slides may also have a loop or attachment for a water hose near the top of the slide body, helping to keep the slide lanes wet for slippery thrills. Dry slides are popular with consumers, as they can be used anywhere – in the backyard, at festivals, or even indoors if space permits. Schools and community organizations often host indoor events, and a waterslide simply isn’t appropriate for indoor use. On the other hand, wet/dry slides can offer fun that simply can’t be had with other slide models. The wet/dry slides can be used with the splash pools in warmer months, or the splash pools can be removed during cooler weather, allowing for dry operation. This gives incredible versatility, and many people prefer this style, especially if they expect to host parties all year long. On a hot summer’s day, nothing beats splashing and slipping on a commercial-grade inflatable slide! Many people dream of a life where they can operate their own business. There are many business opportunities available to entrepreneurs, and inflatables rental businesses represent a potentially lucrative venture. Opening and managing a rental operation for moonwalks, bouncers, and slides can help make those dreams come true. With a commitment to hard work and a few tips, inflatables rental businesses can create a comfortable lifestyle, driving profits and ensuring the success of your new business operation. 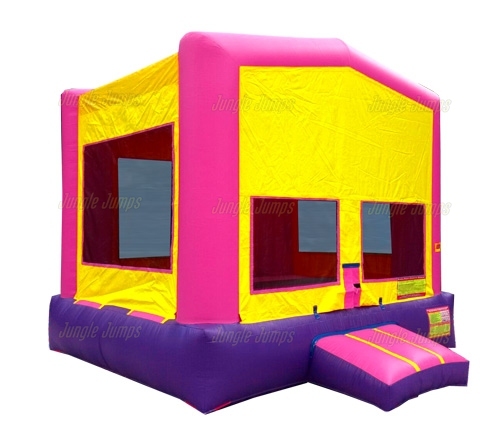 In this guide, we will explore the foundations of a successful bounce house rental business, helping you to make money in your new business venture. All too often, new business owners believe that if they start a business, clients will come to them naturally. While this can be true in some cases, the vast majority of new business owners will need to apply several proven techniques to attract customers, helping the new operation to reach profitability. In the world of inflatables rental, nothing beats word-of-mouth advertising. This can be achieved in a cost-effective manner, using both in-person and social media methods to attract a steady stream of new customers. Every customer interaction represents an opportunity to “spread the word” about your new business. Ask your customers to recommend your operation to their friends and family; this can help create interest in your rental venture without the expenses and hassle of traditional advertising. Creating social media profiles on platforms like YouTube, Twitter, and Facebook are also inexpensive and effective ways of building interest, bringing customers to your company and creating connections with a wide audience. No matter if you are a small operation with a handful of bounce houses to rent or a company that dreams big with a huge inflatable inventory, social media is a great way to build brand awareness. The key to leverage social media is to not only create profiles on these platforms but to update them with company news and information on a regular basis. With engaging posts, your fans are far more likely to share your company’s profiles with their friends, who may then become your customers. Attracting a steady stream of new customers is only half of the battle for new business owners; retaining them and building brand loyalty is the other. In numerous business studies, it has been shown that repeat customers account for a sizeable percentage of a given company’s business, so it is critical that you reinforce the customer relationship. How can a new business owner create loyalty? There are several possible solutions, but the core of this approach is to deliver outstanding service. Customer service is a dying art across industries, but the most successful companies put their focus on this vital part of the business model. Excellent customer service practices help to ensure that customers will return to you time and again, and they will also recommend your services to their peers. Providing incentives for repeat customers is another tactic to explore; providing a small discount for these valuable customers can also help keep them coming back. Making money with an inflatables rental business is not an overnight success story, but it is important for new business owners to remember that through hard work, customer service, and cost-effective advertising, it is possible to shape your business future. With these tips, you will gain new customers while forging long-term relationships with existing customers. 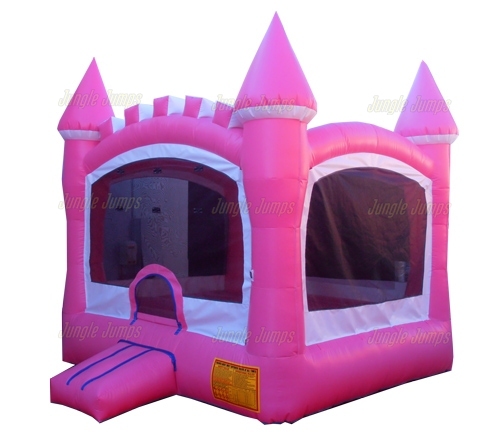 This ensures continued profitability for your bounce house rental operation. And remember, once you have started up, be sure to reach out to us to be featured on our Nationwide Bounce House Directory! No matter what type of business you’re in or how long your company has been in operation, you know that everyone makes mistakes. Business-oriented mistakes can cost money in lost profits or expensive fees, but it is how a business owner handles the mistakes that can spell the difference between success and failure. For people who own inflatables rental businesses, a common mistake is purchasing the wrong bounce house. In this guide, we will provide tips for handling this error, ensuring that a mistaken purchase does not negatively impact your business operations. For some people, purchasing a bounce house online can be a complex affair filled with potential pitfalls. Even with detailed product information and high-resolution images found in online shopping, people who prefer a tactile approach to making purchases can often wind up with the wrong product. These people need to touch and see items in person; obviously, an online shopping experience for a bounce house or other commercial-grade inflatable does not allow for these aspects of the purchase experience. Finding out the dimensions of a bounce house was different than imagined. Discovering that the fabric used to construct the bounce house feels different than the way the purchaser wanted, such as a too-rough or too-smooth texture. Realizing the design isn’t as interesting or appealing once the bounce house is inflated and ready for operation. 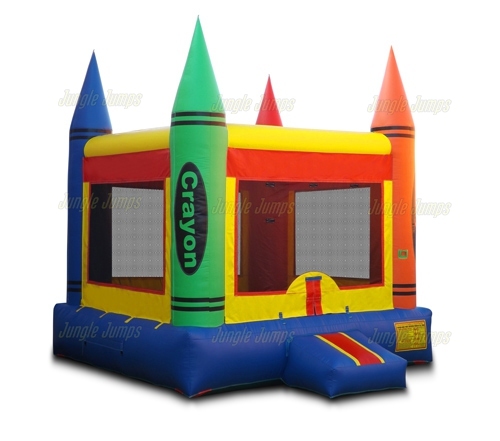 Identifying desired features that are missing from the bounce house purchase, such as multiple door openings or reinforced anchoring points. Finding out the overall quality of the inflatable doesn’t match the manufacturer’s online description or reputation. Product descriptions and photographs of a given product only tell part of the story; and for people who like to make in-person purchases, mistakes can be made. What can you do if you discover the bouncer you purchased simply isn’t right for your company’s needs? The first step is to reach out to the manufacturer from which the purchase was made. Most reputable companies have a generous return policy, with specific requirements about the reasons for the return. These companies want their customers to be happy with each purchase and may accept returns that arise from mistaken purchases. If a return is accepted, detailed instructions on repackaging and shipping will be included. There is sometimes a small restocking fee for purchases made in error, but this fee is a fraction of the cost of the inflatable itself and is the best option to overcome a purchasing mistake. 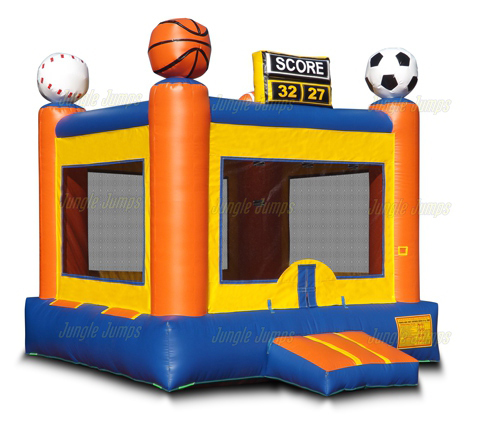 If for any reason you are unable to make a product return, it may be possible to resell the bouncer to another rental operation or to think outside the box and repurpose it for special events or promotions. It is critical to remain flexible; no problem cannot be overcome as you operate your business. Once the return is made, it may be possible to reach out to the manufacturer for the names of other customers in your area. You can potentially get in touch with other inflatables purchasers, giving you a chance to see and feel the desired product in person. This can eliminate mistakes based on materials, size, or features. With this information, your next purchase will be the right one for your company’s needs. Remember, it is not the mistake that you make, but how you deal with that mistake, that separates your successful business venture from one doomed to failure. Follow our blog for more tips and tricks to starting up your business.